With historic maps and notes from hikers who explored before her, Eisenfeld and her husband hike, backpack, and bushwhack the hills and the hollows of this beloved but misbegotten place, searching for stories. Descendants recount memories of their ancestors "grieving themselves to death," and they continue to speak of their people's displacement from the land as an untold national tragedy. 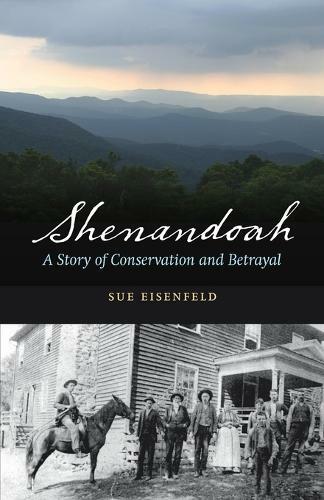 Shenandoah: A Story of Conservation and Betrayal is Eisenfeld's personal journey into the park's hidden past based on her off-trail explorations. She describes the turmoil of residents' removal as well as the human face of the government officials behind the formation of the park. In this conflict between conservation for the benefit of a nation and private land ownership, she explores her own complicated personal relationship with the park-a relationship she would not have without the heartbreak of the thousands of people removed from their homes.